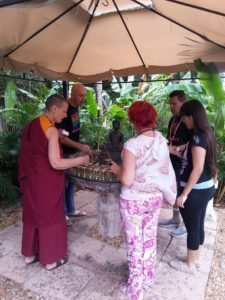 In general, making offerings is an extremely important method for the practitioner to accumulate merit. 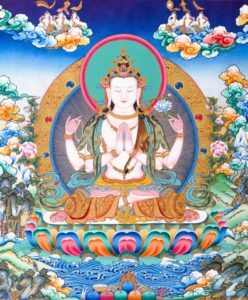 The attainment of the state of enlightenment occurs when we have brought to full perfection our accumulation of merit. In particular, the method of offering bowls of saffron water is an excellent way of accumulating merit because it is an act of generosity in which you have no greed. 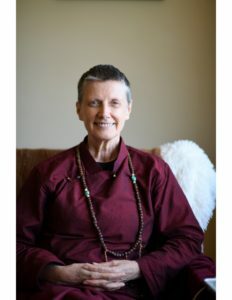 You don’t have any particular attachment to the water, so it is a way to offer that which we have no concept of possessing. 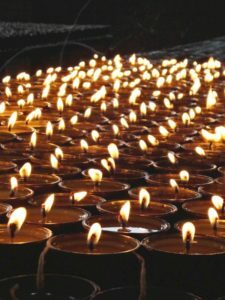 It is also excellent to offer the butterlamps, candles or light because this act of offering this light symbolizes burning away our mental afflictions of desire, aggression, greed, jealousy, pride and so forth. The other part of the symbolism is that it is a way to burn away our illness. 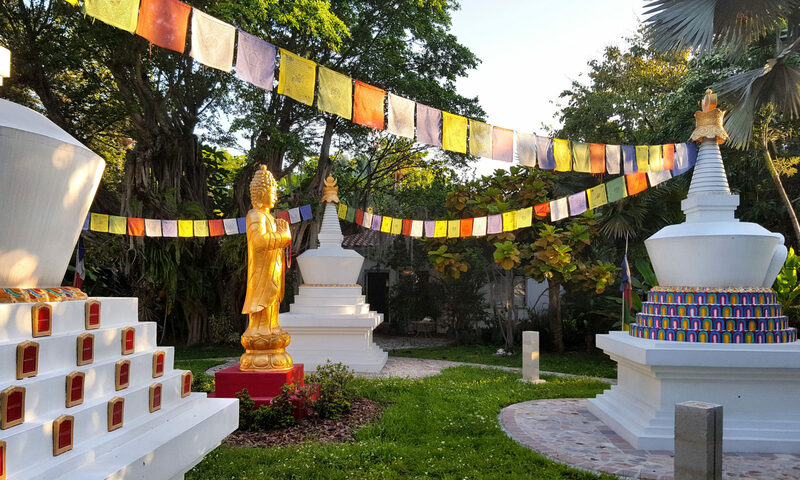 In the Tibetan medical tradition, physical illness is based on an imbalance of the elements in the body, illness is seen as an imbalance between wind, bile and phlegm. When these are out of balance sickness arises in the body. So this offering symbolizes burning away illness. 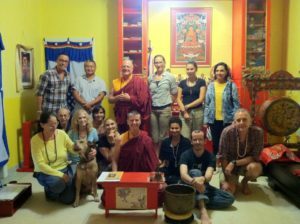 In general, making offerings such as these with a good attitude is an excellent means for accumulating an enormous amount of merit. It is particularly meritorious for us because we are very fortunate to be part of a lineage of great masters who made these types of offerings. For example, my and our own root Lama, the Very Venerable Kalu Rinpoche, made it his particular special offering to offer a lot of butterlamps and offered 100 every day. Then Deshun Rinpoche, who was also a very important to me in my own training, was incomparable in his offering of the bowls of saffron water. Because we are part of this lineage, it makes the merit even stronger. If you are just doing something ordinary but you have a lot of support, you have a lot of people behind you, you have a lot of money, you have power behind you, it is easier to accomplish your aims. It is the same thing to rely on an authentic lineage. That is the support we need to bring our practice to fruition. Donate Butterlamps to any being in need of prayer. 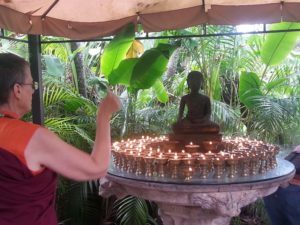 These prayers are said every Sunday by the Sangha and are a powerful influence on those sentient beings dedicated during the Butterlamp offerings. Please donate $1 for each butterlamp.